Holds Successful Meeting on the General Election: Vote No to War! 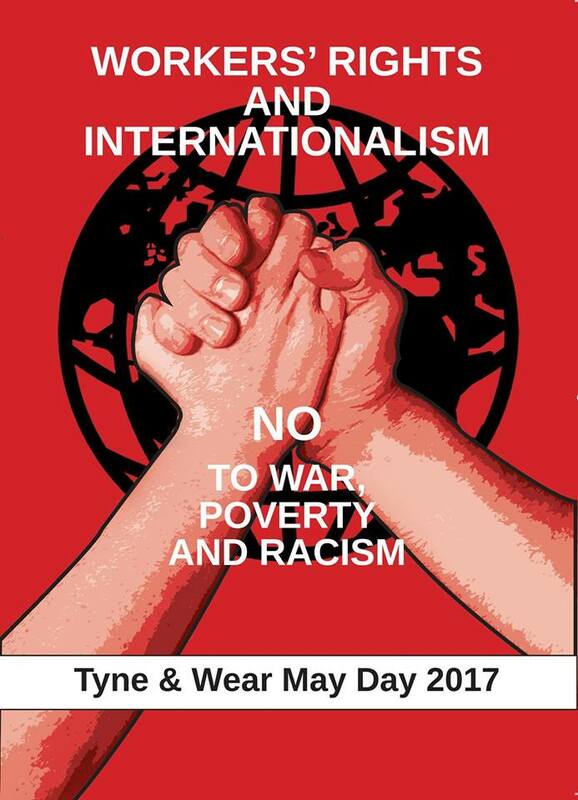 On Wednesday May 31st, Newcastle Stop the War held a public Meeting in Newcastle Broadacre House to say No to War! in the election. The keynote speaker was Stephen Bell national officer of the Stop the War Coalition. In his talk Stephen Bell opened by saying that the call of Stop the War in the election was for an anti-war government. He then proceeded to analyse the 16 years of the war on terror in Afghanistan, Iraq, Libya, Syria and Yemen. He went into some detail of the role of the US and particularly Britain in waging open and covert wars that had left all these countries devastated with more than 1.3 million people killed as a result of these wars and 10 of millions displaced and the complete destruction of any stability in the region which had been replaced by warring factions. Terrorism had been spread across the world as a general problem by the activities of this Anglo-US alliance. The speaker then went through the different party manifestos highlighting their stands on these questions. 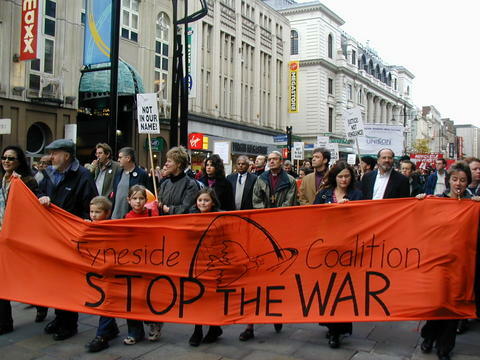 While documenting the progressive anti-war policies that were represented in the policies of Plaid Cymru, SNP, the Green Party and the Labour Party and that the election of these would mark a significant challenge to the pro-war government of May he concluded that even then there would still be work to do and that our "fight for an anti-war government is not necessarily going to be a short one. 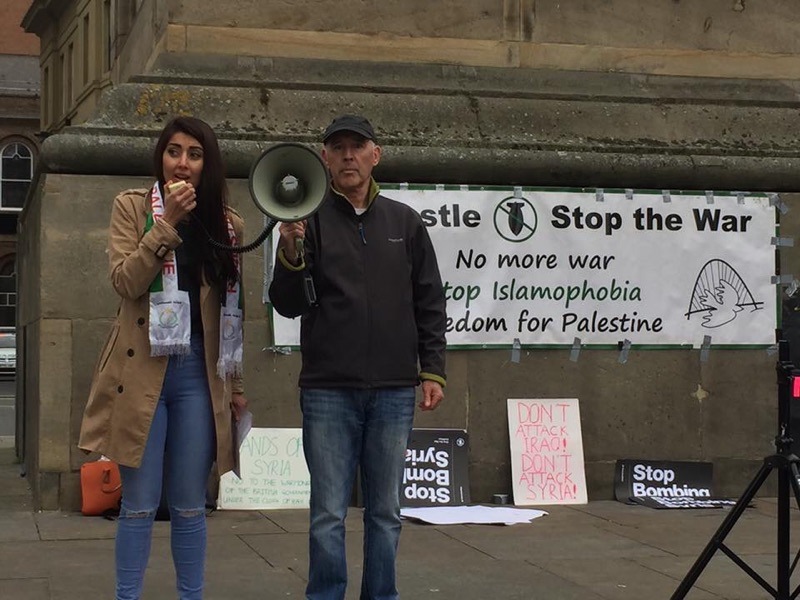 The final speaker representing the Labour Party committee in support of the Palestinians highlighted the long-standing commitment and work of Labour party activists in supporting the Palestinian people with visits to Palestinian and publicising the cause of the Palestinians for all their rights. She also highlighted the Labour Party manifesto that said a Labour government would recognise the Palestinian state on day one. The meeting concluded with questions and contributions late into the evening.